We at henrycottosmustache.com support this decision for obvious reasons. 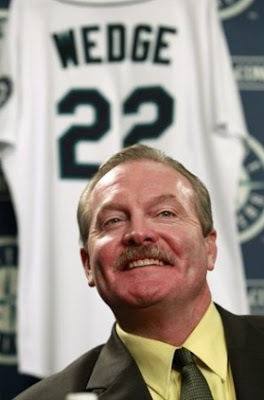 Thank you in advance Mr. Wedge for the multiple World Series titles you bring to this fine city of Seattle. You're the best! How much tail to you think he and Ron Swanson pull when they hit the town together? I wonder if he can top 100 losses as well? I hope not. That would be terrible.